A real time saver for establishing plot radius and prism inventories! • The pocket size DME 201 allows you to walk 360 degrees around the transponder and receive accurate measurements even in heavy brush and will not miss border line trees. 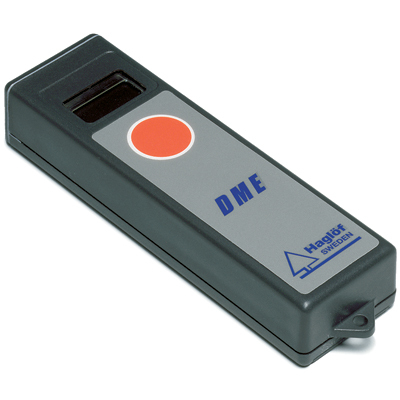 • The DME can measure distance in English or metric units or measures up to 60' in feet/10ths with an accuracy of +/- 1%. • Offers reverse prism factors of 5, 10, 15, 20, 25, 30, 35, 40, 45 and 50 BAF. • Will measure a 52.7' plot radius for a 1/5th acre plot and it easily calibrated. • DME 201 Package includes measuring unit, 360 degree transponder, plot center staff, threaded tripod adapter for mounting transponder to the staff. 6 different counters in one pocket sized device maintains thousands of registrations in each counter mode. • Numerically counts to 9,999 and alphanumerically to 35,000. Combining laser and ultra-sound for accurate distance, height and angle measurements in clear sights or heavy underbrush. The Vertex Laser is a precision instrument designed for forestry. 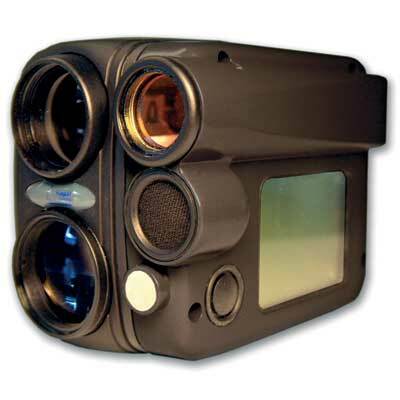 A reliable rangefinder with the laser or ultrasonic feature or combined with the tilt sensor for measuring angles and heights. In thick brush you can use the ultrasonic mode and the transponder for even more accurate distance measurements. 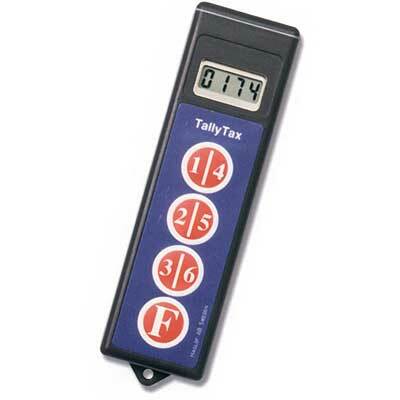 It provides results in feet or meters even when the target is not available to line of sight. The VL400 includes a reverse prism function with built-in prism factors of 10, 20, and 40 (or metric). Laser feature allows for measurements at greater distances in yards and meters. Offers 8x magnification for precise aiming. • Laser: rangefinder with non-refective target max. distance 400 yds. • With reflective target: 150-999 yds. • Accuracy: +/- .25 yds. • Ultrasound: distance 100' or better with accuracy 1% when calibrated. • Height: range 0 - 999 ft.
• Angle: range -55 degrees to 85 degrees. Improved firmware, better display, audible sound signal and Bluetooth! The Vertex IV is small and lightweight and will fit easily into your cruiser vest pocket. With dependable accuracy it will take up to 6 heights on a single tree in English or metric units with no set distance from the tree -- even through thick underbrush. Place the transponder on a tree to be measured. Aim the hypsometer through the crosshairs at the transponder. 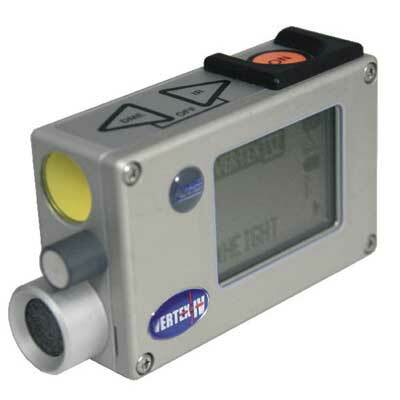 The Vertex IV will display 3 numbers;distance, angle, and horizontal distance to the transponder. And it includes a reverse prism function (BAF) with built in prism factors of 5,10, 15, 20 and 40. (or metric). The Vertex IV can be easily calibrated daily for the utmost accuracy and is Bluetooth capable for transferring measured information. 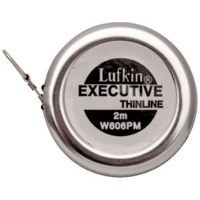 Available with a 60 degree (measures only from the front) or a versatile 360 degree transponder that allows you to walk all the way around the transponder and receive accurate distance measurements for determining plot radius with one push of a button. The Vertex IV is built tough with a reinforced alphanumerical display, aluminum housing and completely sealed electronics. The 60 degree package includes the hypsometer and transponder. The 360 degree package includes the hypsometer, transponder, plot center staff and threaded tripod adapter.